Crashing economies of the world has lead people towards buying and selling used automobiles and machinery. It oriented new business filed which on one hand is lucrative for used car providers similarly on another hand it helps people to buy their favourite cars in their budget. A car has now turned out to be a basic necessity, so the entire world has an aptitude towards buying used cars after surviving the recession as buying a brand new car could be an expensive option. Guyana is also one of those countries those who are considered as a giant buyer of used vehicles from Japan. Japanese used vehicles are considered reliable and economical not only in Guyana but almost in every part of the world. Guyana is a dense rainforest situated in the South American region by north Atlantic coast. Guyana imports all types of cars like sedans, hatchbacks, and SUVs, but choices of models are particular due to climate and road condition. Rainy weather and muddy roads restrict Guyana from importing low structured cars. Mostly they buy SUVs and MPVs. When it comes about sedans people in Guyana prefer buying Toyota Allion and Toyota Premio. These fall under the category of Compact Cars according to the Japanese regulations. These were presented in the market in the year 2001 for the first time but people of Guyana usually go for the 2010 year model of these sedans. Performance of these cars in rainy weather is also very marvellous. Toyota Corolla Fielder (Station Wagon) is also one of the most popular models of Guyana. In SUVs Toyota Rush is a very popular model, it is a seven-seat SUV and has both auto and manual transmission. Toyota Hilux is one of the popular SUVs in Guyana. Toyota Hiace Van is one of those light-duty commercial vehicles which are very common at the roads of Guyana. Sambar and Probox Vans are also in use of people in Guyana and they import these from Japan. So if you are residing in Guyana and looking forward to importing a Japanese used car for your personal or professional use or you are intending to by commercial vehicle you can also consider the option of used Japanese automobiles. 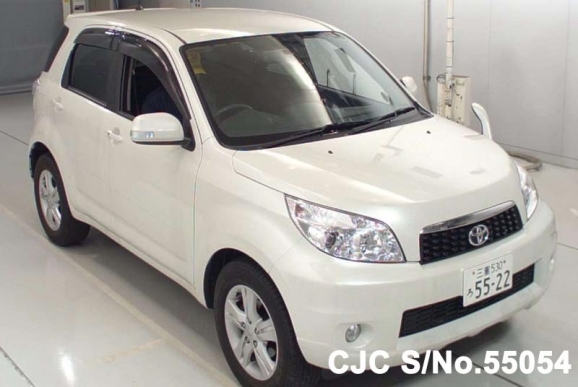 Car Junction is one of the oldest and most reliable Japanese used car sellers and has been supplying cars to the almost entire world. Car Junction has a great history of supplying vehicles, particularly to Guyana. It has a large clientele in Guyana as many car dealers have great trust on Car Junction. So you can also import your favourite car in economical rates with transparency. Just contact Car Junction’s online customer service representative and get assistance in the process of buying a car in your budget. Visit our website to check stock and choose your vehicle.